Boyds, MD (January 9, 2018) – Washington Spirit Academy – Baltimore Armour forward Jordan Canniff has been named to U.S. U-17 Women’s National Team head coach Mark Carr’s 24-player roster for the team’s first training camp and friendlies of 2018. The U.S. U-17 WNT is gathering in South Florida from Jan. 10-19 for a camp which will feature two international matches against up-and-coming Venezuela on Jan. 15 at Eckerd College in St. Petersburg and Jan. 18 at IMG Academy in Bradenton. 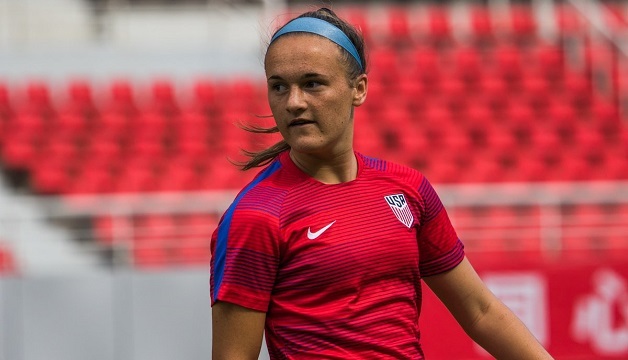 Twenty of the players on Carr’s first U-17 roster of 2018 come from U.S. Soccer Girls’ Development Academy clubs, Nine members of the roster have earned double-digit caps in their U-17 careers, led by defender Kate Wiesner (24), defender Kennedy Wesley (21) and Canniff (19). All three were part of the previous cycle and played at the 2016 FIFA U-17 Women’s World Cup in Jordan. Canniff leads the group in international goals with eight, followed by five from Maya Doms and four from both Croix Bethune and Isabella D’Aquila.